The German Condor 4×4 Wheeled APC was developed and manufactured by the now Rheinmetall Landsysteme of Germany as a private venture for the export market. 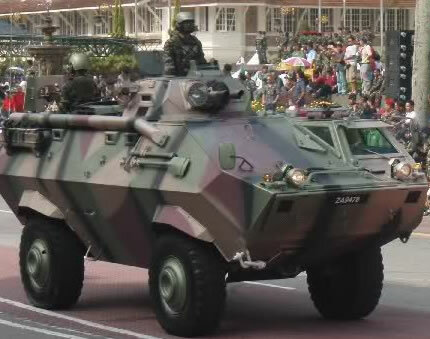 First prototypes of this Armoured Personnel Carrier were completed in 1978 and orders were placed by Malaysia in 1981. Driver sits front left and the engine to his right. The rear compartment is occupied by either troops or other variants equipment. 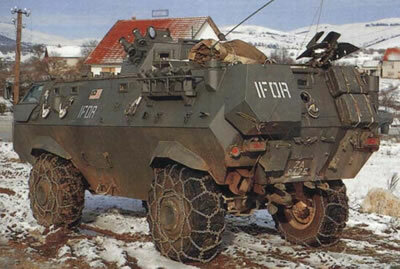 The vehicle is capable of being fitted with various turrets/weapons. The vehicle is fully amphibious with a trim-vein and propelled by a propeller in the rear.